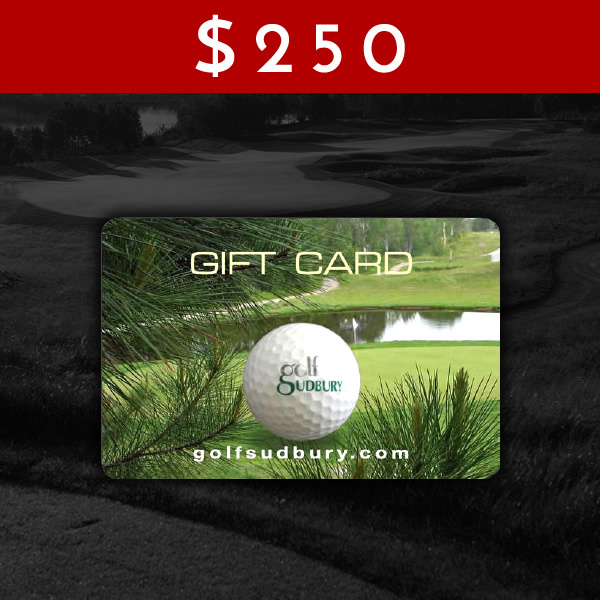 $250 Golf Sudbury Gift Card. This gift card can be used for golf, merchandise or meals at five golf courses! (Cedar Green, Timberwolf, Monte Vista, Pine Grove and Stone Hill).